The sister island of Anegada, which has its own independent generator and plant, did not suffer a power outage. Power came back on sometime before 10:00 A.M. Officials at the BVI Electricity Corporation, the Government run body responsible for the Territory’s power grid, did not immediately return calls, as to the cause of the power outrage. 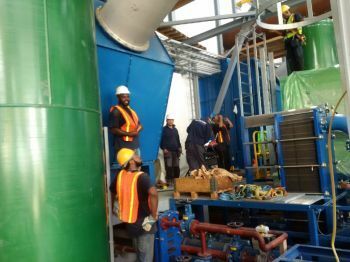 New multimillion dollar engines have been bought and installed at the Henry W. Smith aka ‘Freddie’, power station on Tortola. It was also said that smoke was coming for a Virgin Gorda Transformer. Power has since been restored to the all Islands, as of our post time. The cause was known..just not by you.